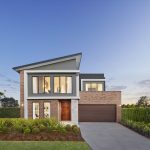 An effective display home showcases to potential homeowners the possibilities that lay before them. 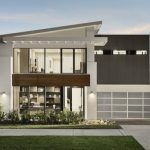 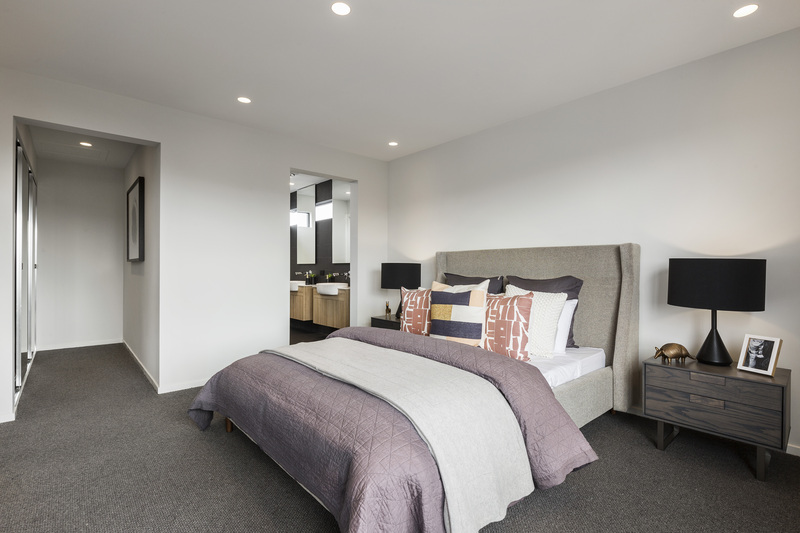 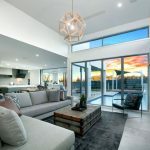 Yes, a display home presents options for layout, customisable elements, fixtures and fittings, but it also enables viewers to understand and experience how their lifestyles could change, too. 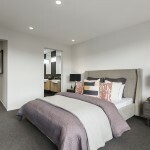 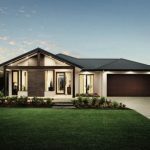 Visiting a display home explores the idea that a lifestyle could be improved with a more logical layout, versatile customisations and fixtures and fittings that make coming home after a long day’s work a pleasure and never a chore. 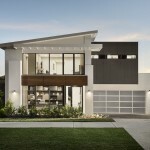 This beautiful display home from Rawson Homes does all of those things. 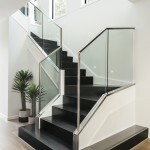 It presents a lifestyle that is contemporary, fun and sophisticated, yet also functional. 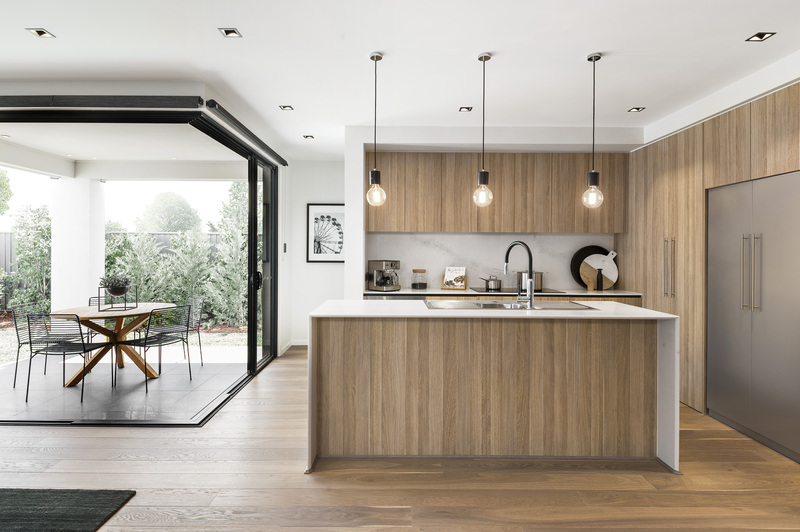 There are some striking elements found here that make it desirable, such as the attention to detail, the nod to contemporary living and its spacious, open-plan feel. The brief for the home was to create a double-storey abode with a double garage to fit a 10m-wide block. 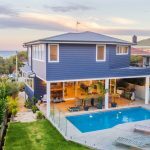 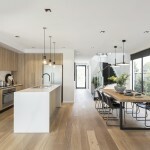 Other essentials included ensuring that the home could accommodate extended family or in-laws by including a separate bedroom and living space downstairs. 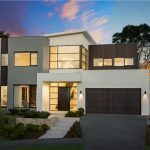 “We also wanted to push standard design boundaries with an ultra-modern façade that creates real kerb appeal,” explains Levi Naas of Rawson Homes. 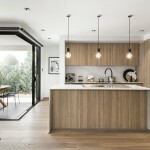 “It was about making a first impression. 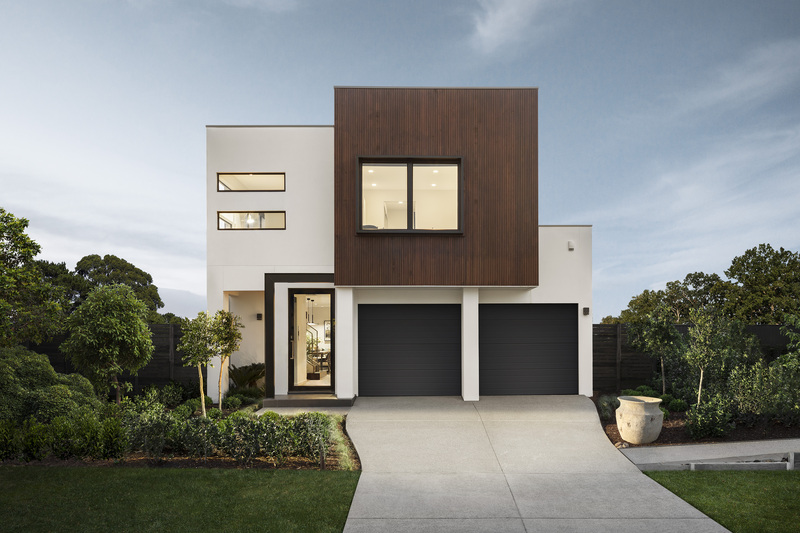 We wanted a sleek structure, render, timber and aluminium with contemporary colours,” says Levi. 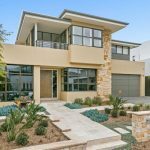 Although the home has a very specific aesthetic, it is well suited to a large number of homeowners. 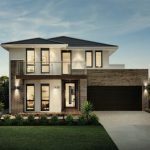 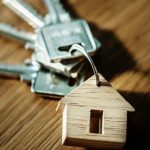 It has some exciting customisable options, meaning that homeowners who invest in a similar style home will benefit from the abode now and into the future. 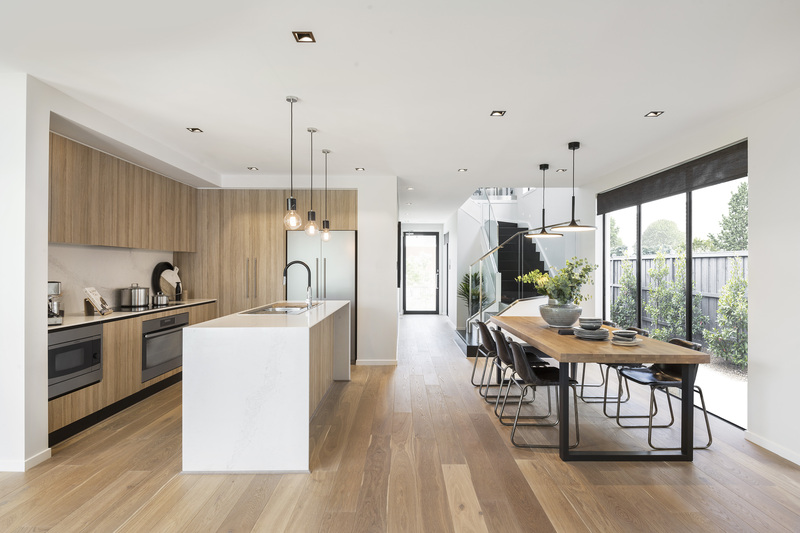 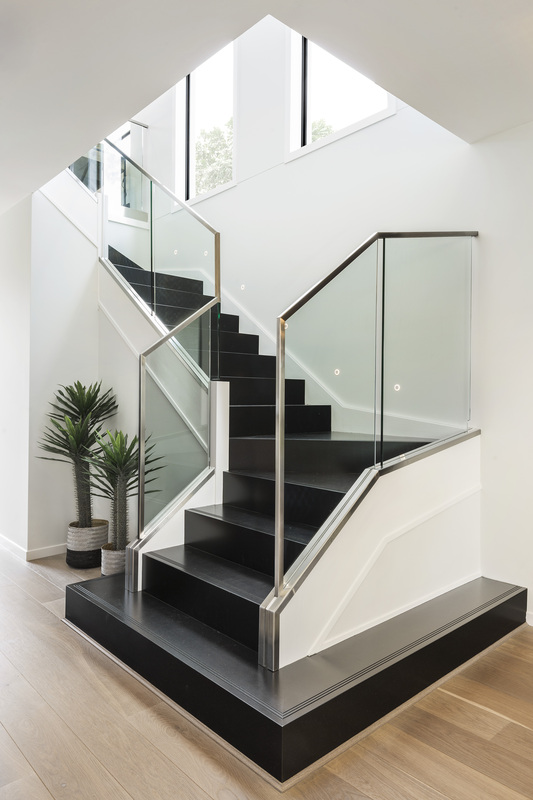 The contemporary finishes extend to the interior of the property as well, showcasing a beautiful contrast between timber-look floorings and cabinetry, and black-framed windows and doors. 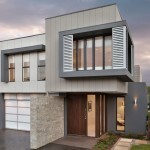 The clever and functional positioning of the windows throughout the home is worth noting. 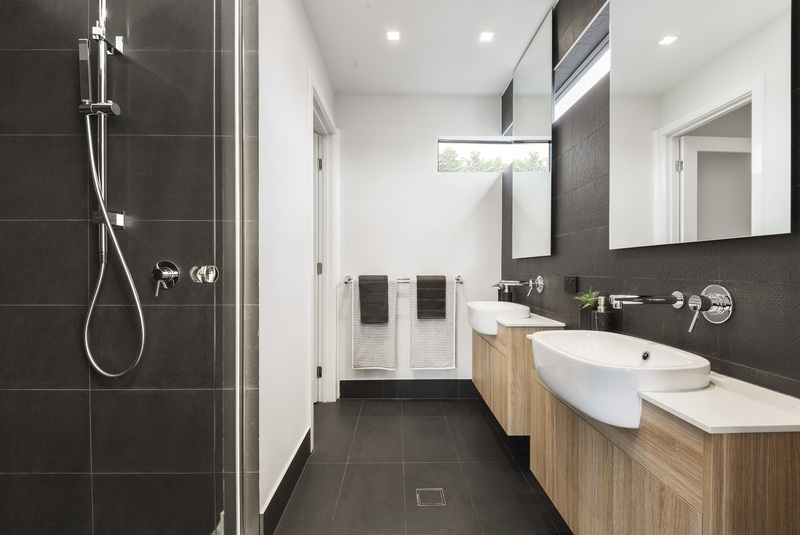 For example, the innovative placement of the windows in the bathroom — above and below the vanity — flood the room with light but provide optimal privacy. 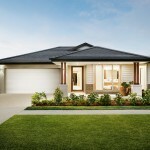 This display home eloquently showcases what is possible in a new home, and the possibilities are plentiful. 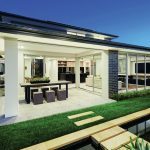 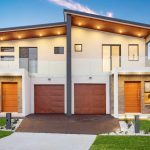 Should homeowners want to customise certain elements, this is something that Rawson Homes is well equipped to deal with.